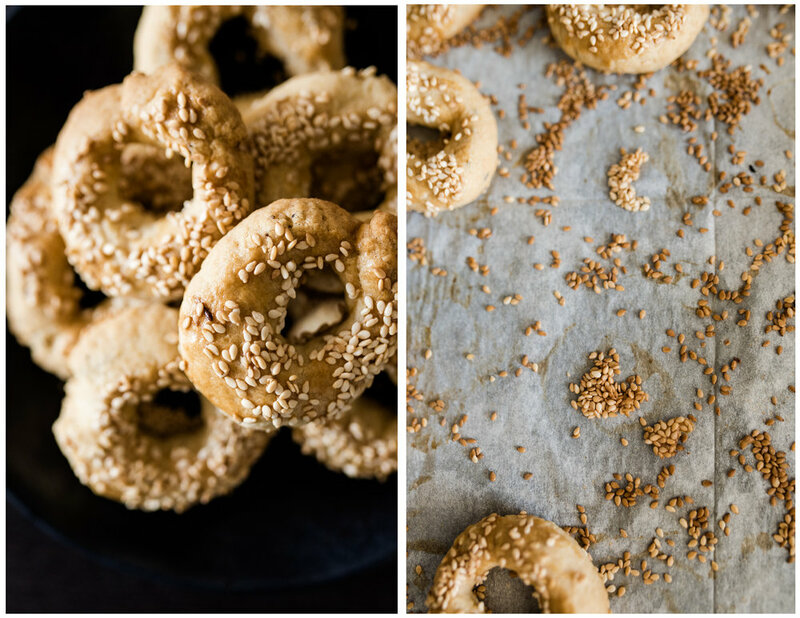 I remember sitting at the kitchen table rolling out bits of dough into short ropes and pinching the ends together to make a circle before my mom dipped it in egg wash and showered it with sesame seeds. It was a Yom Kippur tradition to break the fast with a tray of these savory cookies that only later I found out are called ka’ak. We just called them salty cookies because if you’ve never had one, you’d think you’d be biting into a sweet treat by virtue of its categorization as a cookie. But nope, it’s a savory cookie and as kids we weren’t fans, which is probably why I can’t remember my mother baking them often over the years. When one morning, a message from my mother popped up with a picture of a handwritten recipe for these cookies, I decided to revisit them. For nothing more than nostalgia and also my father in law was visiting so I figured I’d have one customer. Let me tell you, they’re a nice change from the sugary assault most cookies throw at you. I enjoyed them more with the addition of caraway seeds, but I divided the dough into two because not everyone is a fan of the taste. Even better, I put my daughter to work at the kitchen table and she rolled out bits of dough into short ropes and pinched the ends to make a circle before she brushed them with egg wash and showered it with sesame seeds. Full circle. Preheat oven to 350F and line 2 baking sheets with parchment paper. In a medium bowl, combine the flour, baking powder, and salt. 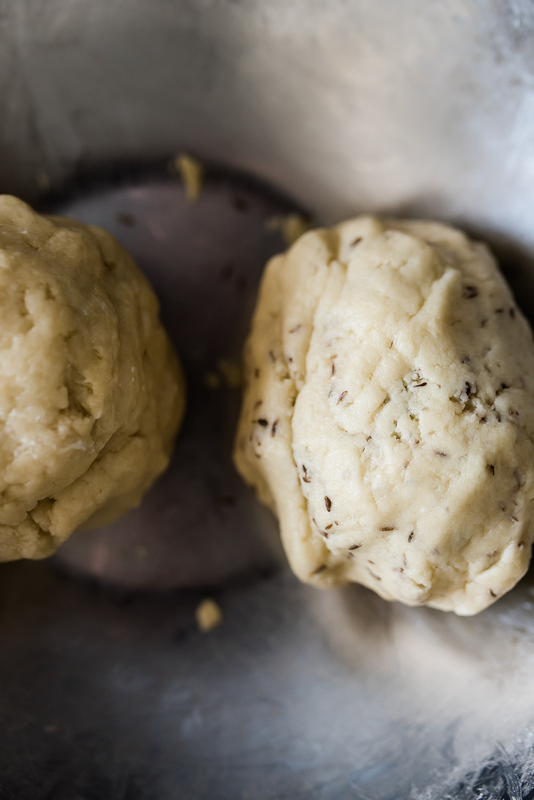 Pour the oil, margarine, and water, and knead until a smooth dough forms. Cut the dough in half. Knead the caraway seeds into one half of the dough. Working in batches, pinch small balls off the dough. Between your hands, roll out into a long rope and pinch both ends together. Place on the baking sheet. Repeat until both doughs are formed. Brush each ring with the egg and sprinkle with sesame seeds. Bake, one tray at a time, for 20 minutes or until golden brown the top is crispy. Allow to cool before transferring to an airtight container. Freezer: Place in an airtight container, wrap with many layers of plastic wrap and store in freezer for up to 6 months. You can easily double up this recipe.